Graz, Austria’s second largest city, is the capital city of the southern province of Styria. A popular stop over for tourists due to its buildings’ beautiful baroque facades, but also because of its historical importance in terms of commerce and trade. Today Graz is a bustling city with a thriving economy; whilst the cultural, scientific and educational sectors are booming, Graz’s industrial sector is the main contributor to the economy, as Graz is the capital of the Austrian automotive industry. Graz is served by a local airport, and the airport is connected to Graz via public transport. You can use both bus and S-Bahn to get into the centre of Graz. Buses 630 and 631 run between the airport and Jakominiplatz. S-Bahn S5 runs from the airport’s station to the central station Graz Hauptbahnhof. The bus journey takes 20 to 25 minutes, travel time by S-Bahn is only 12 minutes. 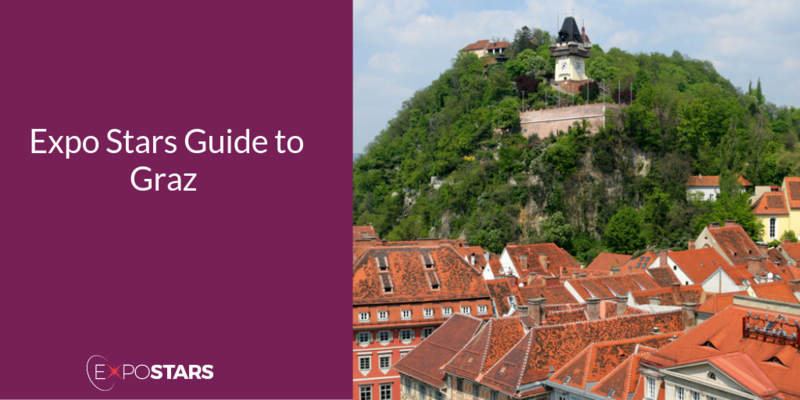 The UNESCO-acclaimed Old Town of Graz is full of historical architecture, and is ripe for exploring on foot. Highlights include the Hauptplatz, the Main Square, on the left bank of the River Mur, the Town Hall (Rathaus), built in 1893, and the 17th-century Haus am Luegg, with its unusual facade. El Gaucho serves a combination of El Gaucho beef from Argentinean cattle and dry aged beef from Austria. If you don’t fancy steak, delicacies such as goose liver or soft-shell crab can also be found on the menu. If you are a fan of al fresco dining head to Graz in August, to experience the Long Table of Graz culinary event. Held in the Old Town, 700 diners are sat at the eponymous long table, whilst the area’s best chefs prepare a five-course tasting menu.